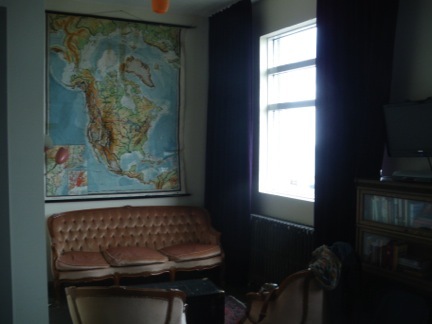 Finally after waiting through the aftermath of the eruption of Eyjafjallajökull, which thwarted the honeymoon plans for an artic summer cycling honeymoon, the perfect excuse was concocted: we would fly Iceland Air to Frankfurt making a four day stopover in Reykjavik. And so after enjoying a flight with what has to be the quirkiest airline in the world, and making ourselves believe that we had actually seen Sigur Ros unloading their gear at the airport, we stepped out into the frigged air and moon-like landscape that surrounds the Keflavik airport. Though as a Canadian I am used to cooler weather (to say the least), the ice-cold wind that the mythical gods were spewing at us that mid-May morning was enough to remind us of the task at hand – finding hot water. 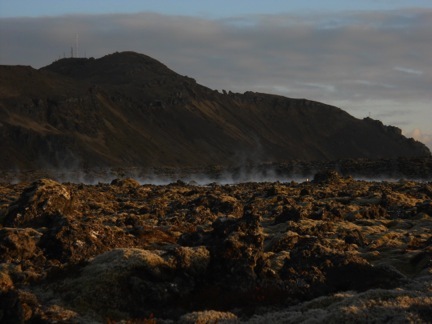 Luckily, when in Iceland you never have to go too far to find geothermal springs that not only offer a respite from the cold weather, but also generate enough energy for Iceland that there have even been talks of exporting it. Wanting to first get a sense of how the local Reykjavikians might warm up, I ask the receptionist at the hotel her preference. The recommendation was one that was a) heritage building that held fond memories for her, b) close by, and c) a name that I could pronounce. 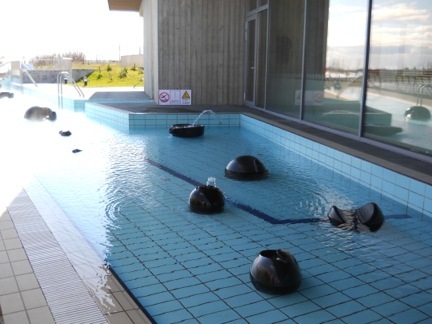 Though initially unimpressive, the Sundhöllin pool quickly won me over with its two outdoor hot pools of differing temperatures and the discovery of my first Icelandic steam room. The simple design of this steam room entailed using the thermal source below to keep the temperature at around 43-45 degrees. As the heat was coming from the floor it became necessary to keep the feet up on the bench. 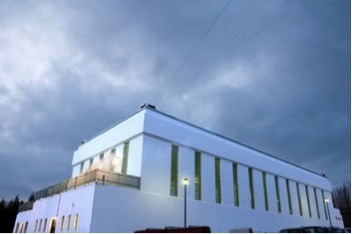 Though not the kind of classy elegance one would expect from a world class spa destination, the Sundhöllin pool did offer a good introduction to the public bathing lifestyle of Iceland, a more than economical entrance fee, a convenient downtown location, and most importantly, a place to warm up on a cold Reykjavik day after an international flight. We immediately went back to our beautiful mountain-view room for a jet lag nap. Lagoon, the very justification for the 6-hour to 6-day (whatever you decide), stopover in Reykjavik. 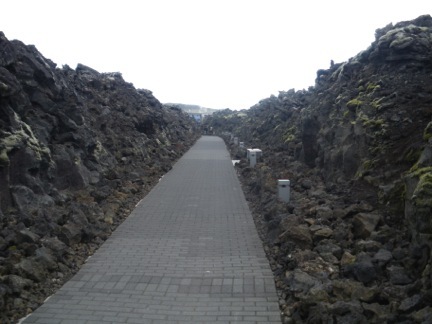 Every tour agency is sure to offer the transportation to the location in Grindavik (a 45 minute drive from Reykjavik). The geothermal plant spewing out steam, marks the location and creates the anticipation as it can be seen from kilometers away. Being dropped off in the parking lot (where the Blue Lagoon structure is not yet visible), feels like being abandoned on an Apollo mission and leaves you wondering whether you’ll begin to float when you get out of the car. 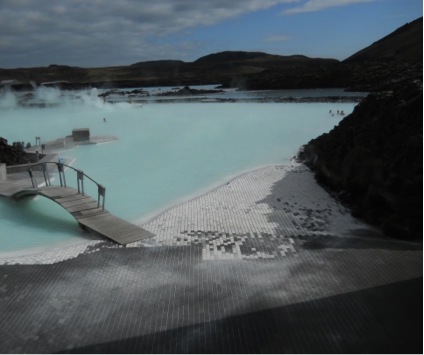 But the winding trail through a volcanic rock cutout leads to the front entrance of the earthy-toned Blue Lagoon structure. choose the less busy one to hasten your transition into your relaxation time. 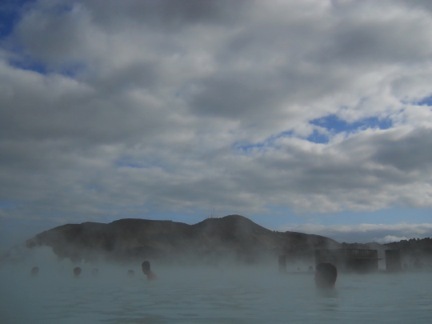 Though you can enter the water from inside to transition to the outside, I recommend walking outside first to get an overview of the wide expanse of the blue lagoon and to feel the brisk artic air on your skin before you slip into the cozy thermal waters. Of course what makes this space famous is the interesting mineral compositions and aqua life that results in the opal, milky blue colour of the water. A few centimeters below the water and your hand disappears; a wonderful mental game to forget the aches and pains of the body – out of sight out of mine. But in thermal waters we know that it’s not just mind that prompt the soothing of the body, but the actual mineral composition has healing properties. As a natural phenomenon, beautiful place, and lovely bathing spa, this stopover is worth it. Don’t’ forget to check out the sauna and natural steam room or maybe get a private underwater message in the VIP section. But why stop there? Four days of exploring an entire country of fascinating geology and culture is certainly not enough, but that never stopped the checklist travellers of the world from trying. But taking the day to explore the Golden Circle another part of what makes the stopover in Iceland worth it. There are a few great bathing spas along the route but we decided to check out La Fontana. In the eerily quiet town of Laugarvatn be sure to come later in the afternoon because it first opens a 2pm. This actually prevented us from entering the waters but perhaps beginning the Golden Circle on the east road might solve this problem. At this spa the thermal waters reach the surface right at the fresh water lakeshore. The steam flows directly underneath the floor of the steam baths at different depth, which changes the temperature of the wooden houses. Outdoor pools of differing temperatures offer flotation aids and rest pads in the water. But the exciting thing about this location is that they are planning to open up the gate that leads to the lake so that people can enjoy the natural warms spots created in the lake where the hotspring reaches the surface. Stay tuned for its grand opening as the spa is waiting for the government to give the go-ahead. 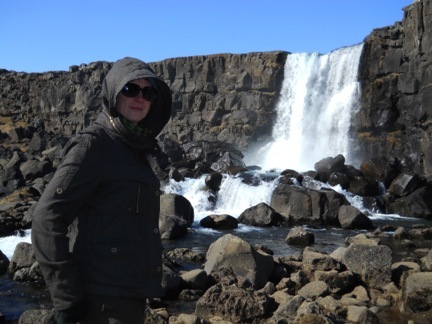 Four days was not enough to explore all the natural hotpsings and spa facilities that Iceland has to offer. Even the public pools have great facilities and there are many hidden hotspring treasures out there. 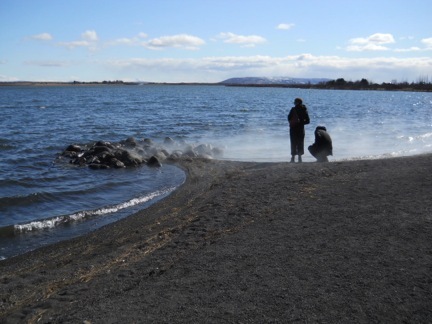 Let me know what you’ve explored and continue the passion for bathing culture in Iceland. Give me a reason to make that stopover once again! 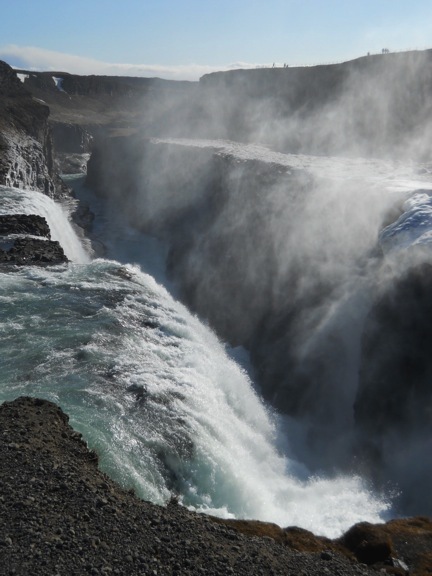 Gullfoss waterfalls – not for bathing – that is not steam but frigid mist and it is powerful!